What’s your Christmas morning tradition? When we were kids, we were always so excited Christmas morning we could never sleep. My parents actually got into the habit of setting the clocks back an hour so we didn’t wake them up at 5 in the morning to see if Santa came. When it was finally time to wake up (aka after 5 am), we’d jump out of bed, and run towards the tree to see if Santa and the reindeers ate the snacks we left out for them the night before and if there were pressents magically under the tree! For those of you who don’t know, Monkey Bread is basically a Sweet Cinnamon-Sugar Pull Apart Bread. Kind of like cinnamon buns in ball form, stacked on top of each other into a tower of gooey cinnamon-sugary goodness. My mom uses a traditional French-Canadian recipe passed down through my great-great aunt and as much as I love that Monkey Bread, the moment I saw the ingredients, I knew I was up to the challenge of making a healthier version! In this Healthy Monkey Bread I managed to swap out all the butter in the recipe in replacement for applesauce and a very little bit of coconut oil (you can also substitute a vegan butter spread). I did reduce the sugar a bit, but just as a “fair warming” there is more sugar in this Healthy Monkey Bread than most of my healthy recipes but this is a Christmas morning treat, remember? 😉 And sometimes a special occasion calls for a little bit of extra sugar, amiright? I use brown cane sugar in all my recipes because it’s less refined than plain old regular sugar – plus it adds a delicious chewy element to baked goods that is hard to resist. If you don’t have brown cane sugar on hand, like in all my recipes, you can always substitute light brown sugar. And did I mention this bread is as fun to make as it is to eat!? If you are experienced in bread making or if you are new to the bread making world like I am, don’t let the addition of yeast scare you! If you need a visual reminder on how to knead bread – this video tells you everything you’ll ever need to know! You can make the dough for this Healthy Monkey Bread the night before Christmas morning and allow it to rise overnight or on the day of if you account for the first 1 hour rise in a warm space. Once your Healthy Monkey Bread has cooled for a couple of minutes, invert it onto a plate and dig in! I made this last Sunday and both J and I couldn’t get over how good it was. 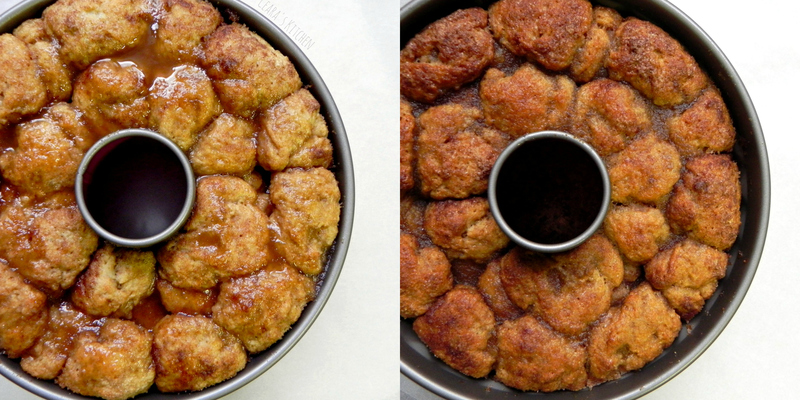 We shared some with the neighbors, but somehow the entire pan of Healthy Monkey Bread slowly disappeared by the end of the day – I told you it’s irresistible! Filled with cinnamon sugar goodness. This Healthy Monkey Bread is the best – a sweet cinnamon-sugar, healthy pull apart bread that is hard to resist! In a large mixing bowl, dissolve the yeast and brown cane sugar in warm water (make sure your water is not too warm or it will kill the yeast). Proof your yeast (make sure it’s active) by leaving it in the bowl for 10 minutes until it gets bubbly. You can skip this step if you are positive your yeast is active. Add the milk, applesauce and vanilla extract and stir until combined. Add the flour (3 1/2 cups) to the wet mixture and beat using the dough hook on your mixer for a couple minutes until a firm and shaggy dough is formed (not sticky). Add extra flour is necessary – I added the entire extra half cup. Flour a dry surface where you will knead your bread. Knead the dough on the floured surface until the dough is smooth and elastic. Do not over-knead your bread or your end result will be chewy. Your dough is ready to rest and rise when you poke it and it bounces back. Lightly grease a bowl (*or oven safe pot if using the quick method) with oil and place the dough ball into the bowl. Cover the bowl and leave it to rise overnight OR if you are using the quick method see next step. For the quick-rise method (one hour), place your bowl in a warm environment (75F/25C) for one hour. I warm up my oven to 200F/95C and then turn it off and leave the pot in the oven with the door open until the dough has tripled in size. After about 30 minutes I close the oven door to trap the warm air inside. Your dough might take an extra twenty minutes or so depending on the brand of yeast you used. Once your dough has risen, punch it to release the extra air. Combine the brown sugar, cinnamon and nutmeg in a shallow bowl. Combine the milk and applesauce in a small bowl. Grease or spray a bundt pan with oil. Rip small pieces off your dough and roll them into balls (they don’t have to be perfect). Make sure your balls are not too big – you need 35 – 40 balls in total. One by one, dip each ball in the milk and applesauce mixture and then in the cinnamon sugar mixture. Don’t be skimpy with the cinnamon sugar! You might need more cinnamon and sugar depending on how much you use on each ball. Place and layer the coated balls in the bundt pan. Leave the dough to rise for a second time in a warm oven (using the same technique as before) for 20 – 30 minutes. The Monkey Bread has risen enough when the coated balls have reached the top of the pan (see photo). Preheat the oven to 350F/180C. While the oven is warming up, add the applesauce, coconut oil, milk, brown cane sugar and vanilla extract to a pot. Heat the caramel on a medium-high heat until the sugar is dissolved and the caramel mixture thickens slightly. Pour 3/4 of the caramel sauce over the risen monkey bread. Bake the Monkey Bread for 30 – 35 minutes in total until golden brown. 20 minutes into the baking time, pour the rest of the caramel sauce onto the monkey bread. If your Monkey Bread is looking a bit too golden cover it with aluminum foil. Bake for the remaining 10 – 15 minutes. Leave the Monkey Bread to rest in the pan for 10 minutes until inverting on plate. Best enjoyed and served right away. 1) You can substitute brown sugar or coconut sugar for the brown cane sugar. [br]2) If you don’t want your caramel sauce to have an overly apple flavor, replace the applesauce with an additional 2-3 tablespoons of coconut oil. Both ways are delicious. 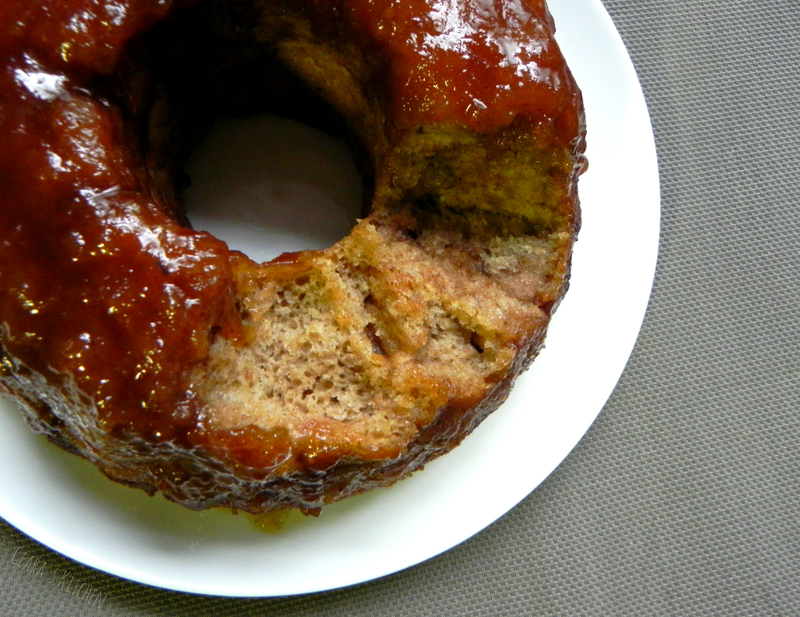 If you do try this Healthy Monkey Bread or any other recipes of mine, I love hearing about it! Insta or Tweet it to me (@cearaskitchen with hashtag #cearaskitchen) or Facebook it to me via the Ceara’s Kitchen Facebook Page! Hello~ I’d like to make this without the extra sauce. Any reason that wouldn’t work? It just wouldn’t be as gooey I guess. looks amazing! I know you say over night for the longer process… about many hours would that be/ would you recommend? Best monkey bread yet! I’ve been making monkey bread for Christmas morning since I was a teen, each year finding a healthier and healthier way to make it. This is by far the healthiest and since I became vegan within the last year, I was worried I wouldn’t be able to make it this year! So thank you for this recipe and saving Christmas traditions! 🙂 I didn’t have a bundt pan, so I used a 8×8 Pyrex and it still can out perfectly. So happy to hear you enjoyed the monkey bread, Sarah!! It’s one of our Christmas morning traditions as well 🙂 Thank you for the lovely feedback! i don’t have a by dr pan. Suggestions for alternatives? 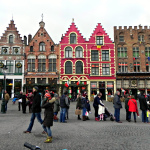 I love reading about your Christmas morning tradition! My family don’t celebrate Christmas at all, but I’ve been celebrating Christmas with mon beau for almost 8 years now, and we would get up in the morning, put on our Christmas pajamas, drink some espresso and vodka (just kidding) and open pressies! Feed meeeeee, Ceara, THIS MONKEYBREADLOOKSFRACKINGAMAZING. Monkey bread can be a struggle to make healthy. 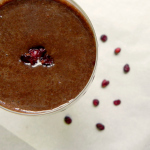 My recipe for it is ridiculously bad for you… but I do love your ideas to lighten it up! Wow this looks amazing!! 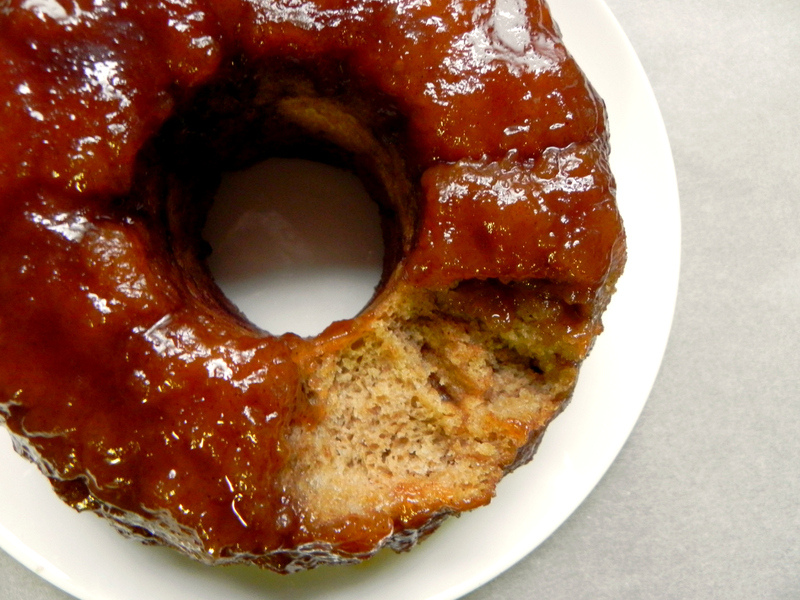 I love that you turned made monkey bread healthy AND vegan! Carol made it, and we ate it Christmas morning it was so-o good. This looks super and I have sent it to my vegan who was raised on butterscotch pull-aparts for Christmas. This is so much healthier! Unfortunately I am also gluten-free. Any thoughts on making this recipe even heathier? I made this Christmas Eve for Christmas Morning Breakfast. It was good, I really enjoyed it. My husband was really missing some sort of creamy icing like what is on top of a cinnamon roll. . . Thanks for the feedback, Paula!! I am so happy that you enjoyed them 🙂 I love the suggestion of your husband – I think a new recipe in the future with a healthy icing on top is crucial! Hope you are enjoying a wonderful holiday and Happy New Year! I am going to make this today and let it rise overnight in my fridge so that we can all wake up and enjoy it tomorrow morning! Cannot wait to try it Ceara! Thanks!! You and grandma did a wonderful job with them, mama!! They were absolutely delicious! Oh my gosh, what a lovely post Ceara! I LITERALLY had my mouth hanging open reading it drooling over the pictures of that monkey bread and reading your cinnamon, sugary description. I have never even had monkey bread and now I’m kicking myself. I honestly didn’t know what it was, but holy moly this sounds incredible. And I totally agree with you, sometimes extra sweet is needed for certain recipe traditions and occasions and you made it a ton healthier anyways. I just think it is beautiful! Hehe, that’s exactly what we’d do as well!! Hope you are doing great, Izzy! Oh, my! Monkey bread is amazing stuff, I know. And you are fantastic to do a healthy redo on it! I love it. I would make it for my daughters when they had their friends for sleepovers too. Can’t wait to try it! I experiment with various sweeteners as well – have you tried coconut palm sugar yet? I just heard of that one! I have heard a lot about Monkey Bread Ceara, and this is the first time I read a post on how to make this beautiful dessert. Love the idea of piling together the pièces of dough in a pan like a puzzle. Really sounds so good. I have to make this so soon. Thank you for sharing. Pinned. 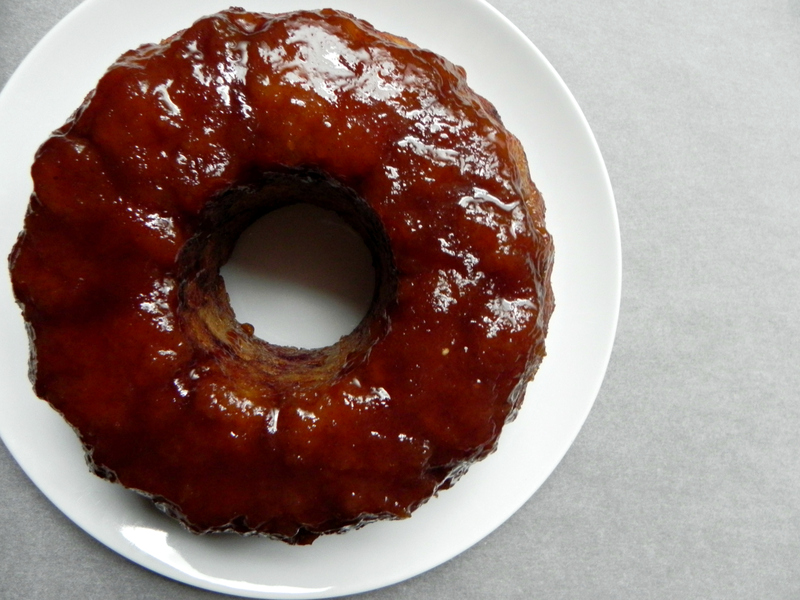 OMG – monkey bread! On Christmas morning… I can just imagine the scent of these wafting through the house! 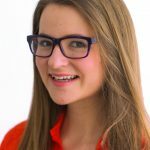 Beautiful story of childhood memories, Ceara! I think my favorite part of monkey bread is not just the yeasty dough, but the subtle crunch of the caramelized sugar on top! Thank you for making this healthier version. I appreciate the whole wheat flour in that dough! The scent is to die for, Traci!!! 🙂 Thanks for the kind words! 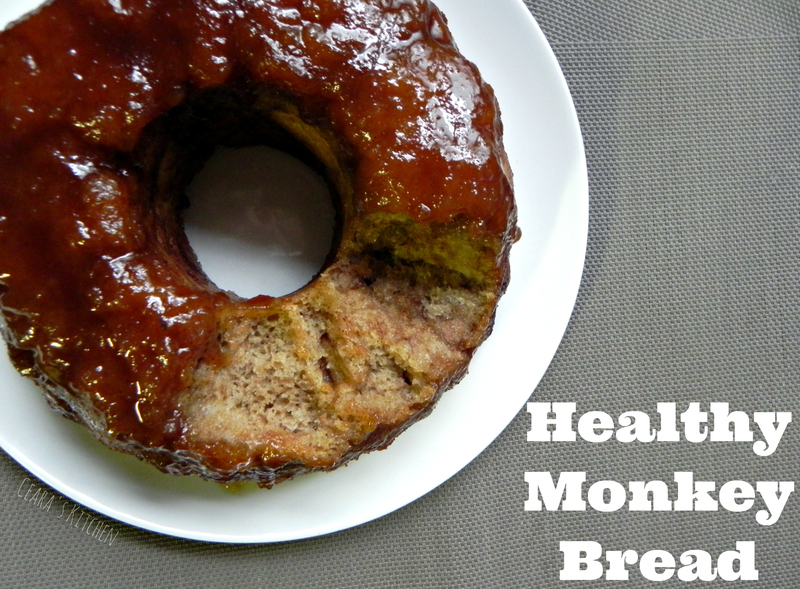 HEALTHY monkey bread?! You’ve just made my dreams come true. ok. this recipe ROCKS!!! how delicious! looks amazing Ceara! Love that you made it healthier, yum!! <3 Thanks so much, Sarah!!! OK! so Monkey bread is one of my FAVORITE! first of all totally pinned! second … this is vegan 😉 I am so excited about this right now seriously you have no idea !!! Thanks so much for your excitement and kind words, Michelle!! Hehe, I was equally as excited when I made this recipe much healthier! Oh I love this! What a fantastic idea! YUM! Thanks, Sarah <3 😀 Hehe, I tried my best to make it healthier!! Thanks for stopping by and the kind words, Matea 😀 Let me know if you try out this Healthy Monkey Bread – it’s the best! Aaw, I love your Christmas morning tradition. This monkey bread looks incredible Ceara! I have always wanted to try making one and your healthier version sounds so perfect! Love it! Our tradition is monkey bread, and I love that you made this healthier! This recipe looks fantastic! I love that you made it somewhat healthy and vegan!!!! I need to dig my monkey bread pan out of storage and surprise my son with some on Sunday morning. He is coming home from college on Saturday night, Yay!!!!!! Your Christmas morning traditions growing up sound so fun, Ceara! What a great breakfast to look forward to! And my brother and I could never sleep, either. I would actually stay awake on Christmas Eve until after my parents went to bed and sneak downstairs to look at the presents! 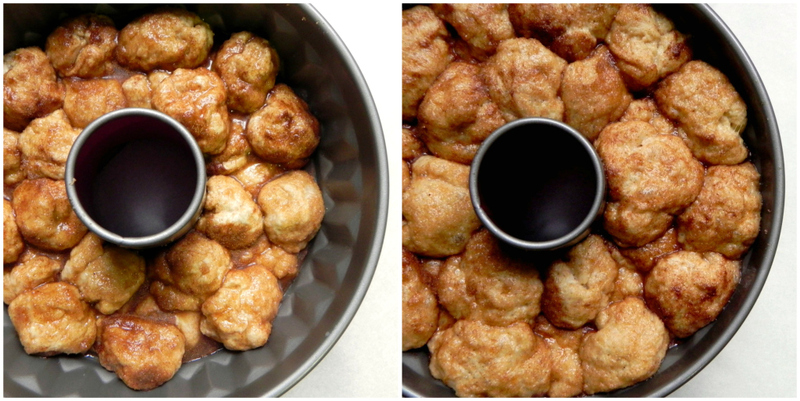 This monkey bread looks so incredible! This is hands down one of my favorite desserts/breakfast, yet I hardly ever make it. I’m definitely going to try your healthy version! I can almost taste it right through my computer screen. Love it! And pinned! Your Christmas traditions sound like so much fun, Gayle! Hehe, we were always too nervous to sneak downstairs in case we actually saw Santa! This is the healthiest monkey bread I’ve ever seen! I love yeast based breads, but sometimes am tired to knead the dough! Definitely worth it! Pinned! You just sent loads of memories of my mom baking monkey bread and me devouring it flooding back into my mind! Luckily no one else in my family liked it, so I ate the whole loaf in a matter of days :)I LOVE monkey bread, and you just made it healthified and vegan-approved, thank you!! 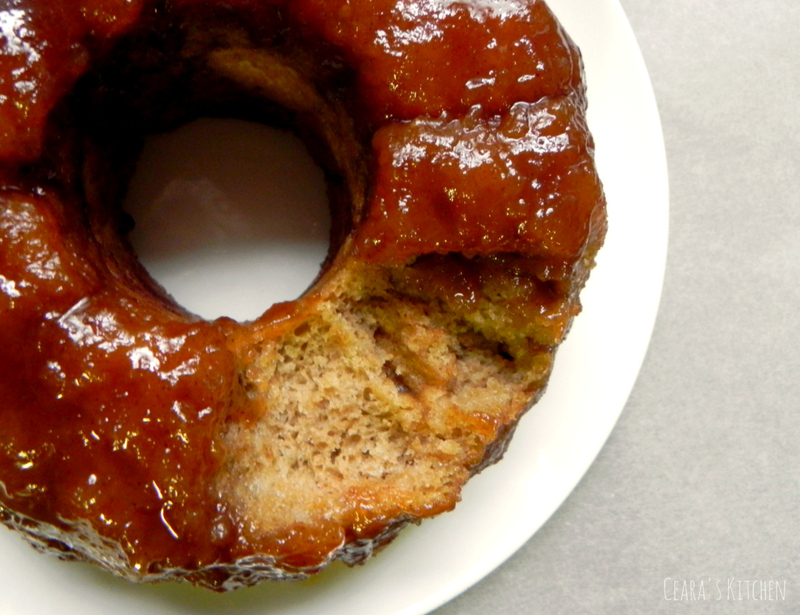 So happy you enjoyed the post & that Monkey Bread is part of your family tradition too! <3 Thanks for the sweet words!